Discussion in 'Norton Commando Motorcycles (Classic)' started by htown16, Jul 6, 2018. I have an earlier brake drum, pre 1971 with the three bolts on the back instead of the paddles for the cush drive. 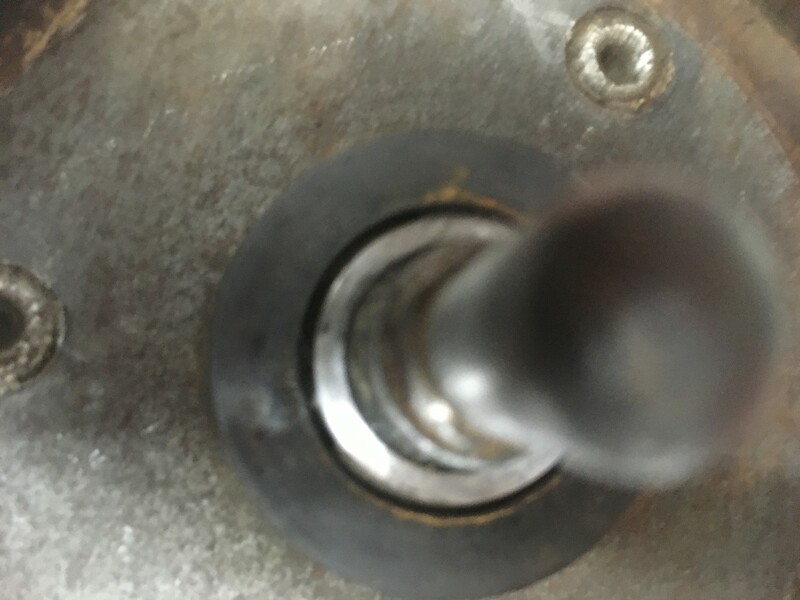 There is about an 1/8th inch gap between the brake drum and the hub so that the hub is free. When I look in the parts book the only two parts in that part of the sequence are the hub part #06-0291 and the brake drum 06-0319 no indication of any spacers or sleeves. 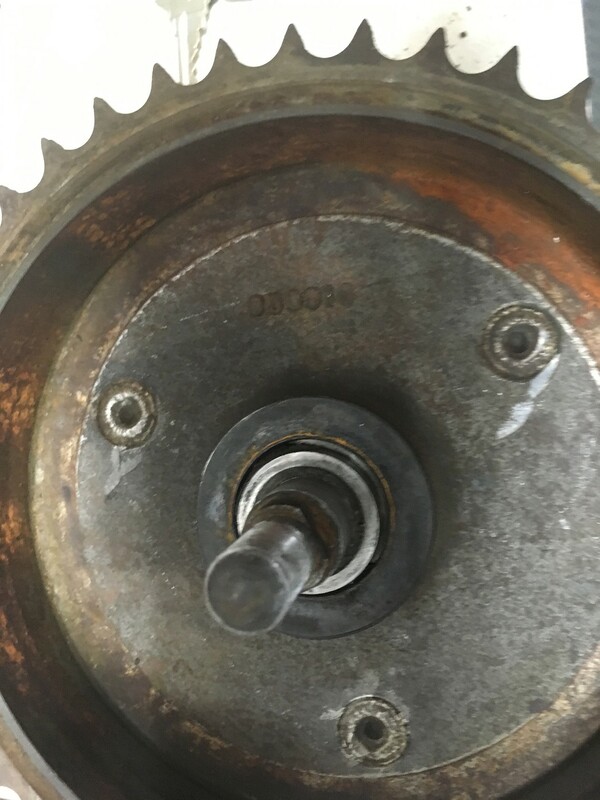 There is also no washer indicated between the top of the hub and the brake backplate. There is some chunks of broken metal on the hub. Has my hub wallowed out my brake drum? Can anyone with experience with the earlier drum give me some advice? 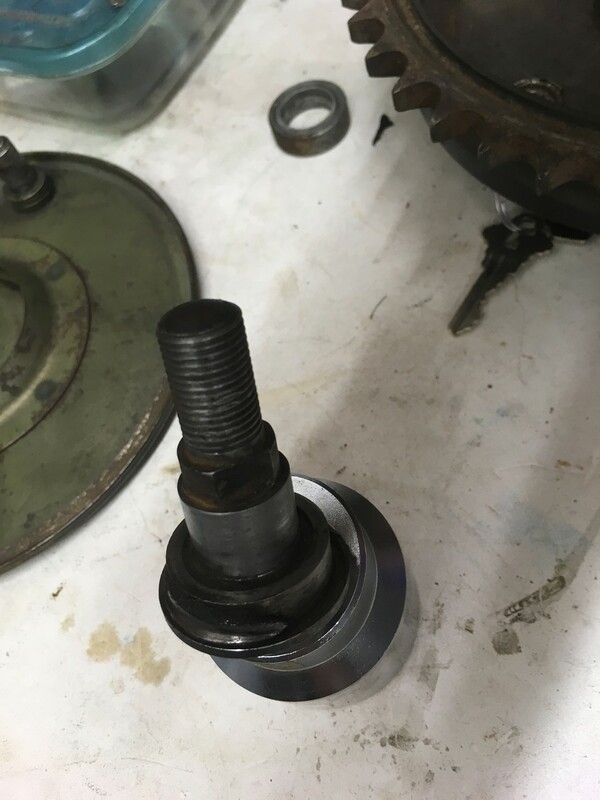 A common error with cush drive hub assembly is getting the hub bearing spacer in backward. One end is longer. If you have had the hub apart and the spacing was OK before then this is likely. My parts book is older so shows this as part number as 18234. Not sure if the bolt up hub is the same. Looks like the dummy axle and drum are shot. Drum also has a bad ridge on the braking surface. Bought what looks to be a decent pair on ebay. Looks like the dummy axle and drum are shot. For the drum to have cut into the dummy axle like that I'd say the DS hub bearing was probably shot? As a side issue here, I can suggest you get the one piece axle for the early bike instead of buying new OEM parts, Madass on the forum will sell it to you for a real decent price and it's stainless. One piece means it's one piece from one side to the other, there's a separate piece that makes up the dummy part. And it comes apart as before only better.